The word protein is derived from the Greek word Proteios, meaning Primary, alluding to its great importance to our diet. Protein is essential to practically every part of the body, from hair and skin to muscle and tissue. Whey protein is popular among individuals who have specific fitness goals, like athletes and bodybuilders. Among its benefits, whey protein has a fast absorption rate, which means that not only does it help build muscle, but it also helps repair muscle immediately after a workout. Whey is a complete protein, providing all the nine essential amino acids necessary for our bodies. 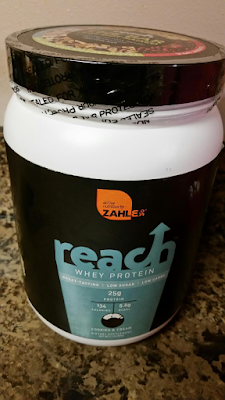 REACH Whey Protein Shake Powder is available in 5 delicious flavors: Chocolate, Vanilla, Cookies and Cream, Cappuccino, and Strawberry. Do you like to enjoy protein shakes?